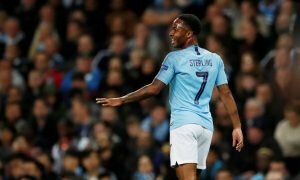 Manchester City send director on Neymar mission | The Transfer Tavern | Where football transfer rumours fly or die! In news that will bring our punters here at the Football Transfer Tavern to a standstill, Mundo Derpotivo has today claimed that Manchester City have made strides to lure Neymar to the Etihad Stadium. In what will seem a better Christmas present to City fans than anything we at the tavern could offer them, it has been claimed that new sporting director Txiki Begiristain travelled to Brazil in order to speak with the forward about the prospect of moving to City. Of course Neymar would cost not only a substantial amount of money in transfer fees but also in wages – something City can easily afford. The biggest problem City may find is the fact that Neymar has his heart set on joining Barcelona when he decides to leave Santos, likely to mean that no amount of money will help the Citizens in their pursuit of the Brazilian. Mancini has identified the player as someone who will make a difference to the club and help them make the next step forward and finally get out of the group stages in future Champions League campaigns. The club feel that former Barcelona director Begiristain will be able to convince the player that Manchester is the ideal destination for him to develop his career and really challenge Cristiano Ronaldo and Lionel Messi for the title of best player in the world. Could City pull off a coup and get Neymar in the future? Vote in our polls below.